We offer carefully selected litters of German Shorthaired Pointers. This is accomplished by always striving to better the breed by keeping natural ability and conformation number one in our breeding decisions. We occasionally offer exceptional litters of other breeds. We occasionally breed carefully selected litters. 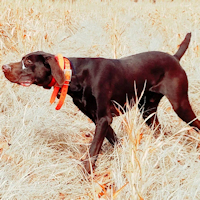 We blend temperament and talent providing the best possible combination of excellent, easily trained bird dogs and family oriented companions. Contact us for information on our planned breedings. Often we are asked "What training does our young dog need? What should we be working on? "Where Quality Isn't Expensive, It's Priceless"